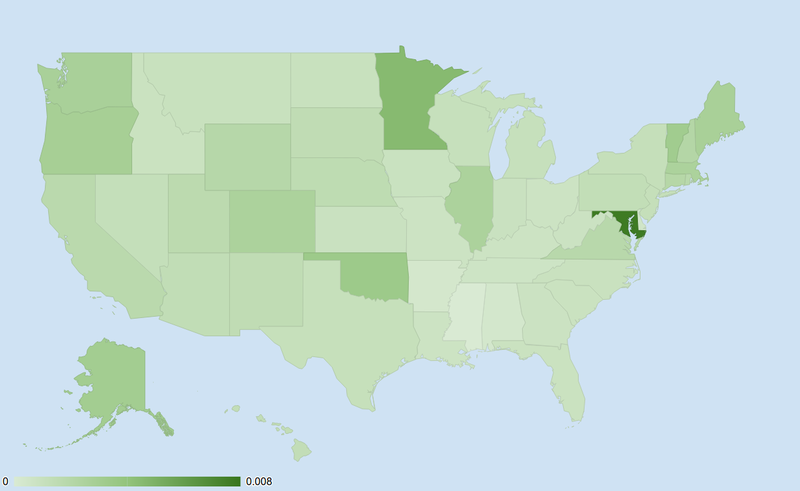 This plot shows visits to zooniverse.org in the last year by US State as a fraction of the state’s population. Marlyland really loves us! As does Minnesota. That may be something to do with our fantastic team based there at UMN. How did your state do? Next Next post: Come Check out Condors!